A total of 1004 rhino were poached in South Africa last year, the environmental affairs department said on Friday. A total of 606 of the rhino were killed in the Kruger National Park, spokesman Albi Modise said in a statement. "A total of 114 rhino were poached in Limpopo, 92 in Mpumalanga, 87 in North West and 85 in KwaZulu-Natal." In 2012, 668 were poached and in 2011 448 were killed. 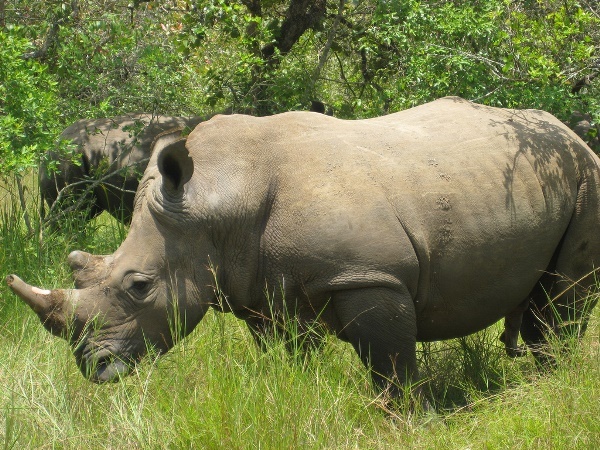 "Since 2008, 2778 rhino have been poached in South Africa. The number of rhino poachers arrested during 2013 increased considerably with 343 arrested, 133 of them in the Kruger National Park." In 2012, 267 people were taken into custody for poaching. So far this year 37 rhino had been poached and six people arrested. Modise urged South Africans to report poaching and call the anonymous tip-off lines 0800-205-005, 08600-10111 or send an sms to Crime Line on 32211.